Holler! Dinner for Ten Dollars! I seriously can’t believe April is almost here! Because I have been so busy this month is flying by. I am ready for April to come and things to slow down a bit but I am sad to see all these fun times go. I couldn’t let April come and March go without the magazine of the month feature. So over the next few days I will highlight recipes from the Taste of Home Magazine. 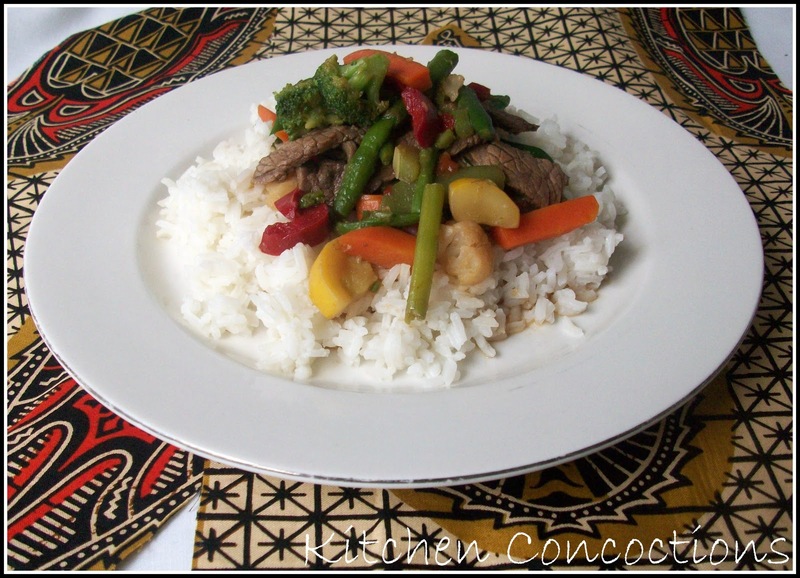 First up is this super easy and budget friendly stir-fry! One of the things for my to do list for April is to not only get back to blogging regularly but also update some features. I am working on cleaning up the ‘key words’ on the side bar and creating a tab that will have an alphabetical recipe index divided into categories. One of these categories will be dinners that are $10 or less for a family of 5. I think this will be super handy not only for myself but you all as well; with everything going up in price these days. This stir-fry falls into this category. Based on the prices at my local grocery store this meal cost about 6 bucks… Even with beef being the main protein! And what is even better is that this tastes great and after the meat marinates it takes less than 30 minutes to prepare! In a large re-sealable plastic bag, combine 3 tablespoons soy sauce, balsamic vinegar, garlic and ginger; add the beef. Seal bag and turn to coat; refrigerate for 30 minutes. 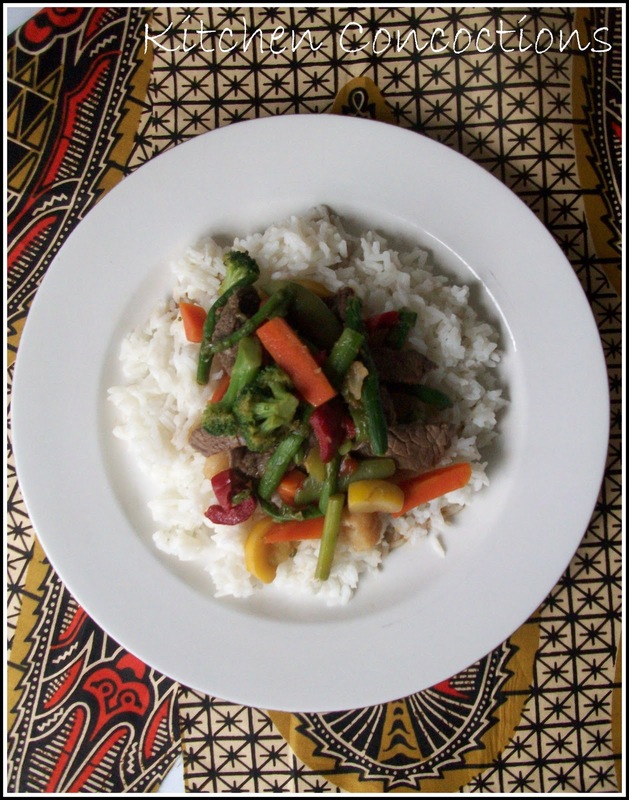 In a large skillet or wok, stir-fry beef in marinade and 1 tablespoon oil until no longer pink. Remove and set aside. Stir-fry vegetables in remaining oil until heated through. Stir cornstarch mixture and add to the pan. Bring to a boil; cook and stir for 2 minutes or until thickened. Return beef to the pan; heat through. Serve with rice. This sounds delicious – and being inexpensive is a great bonus as well! !